In the morning im going to the Frida Khalo. In the Frida Khalo Msueo there are many wounderful paintings that expressed her feelings about her life. The Museo is located in her house. 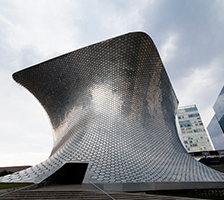 After we go to the Frida Khalo Museo we will settle down and to the Museo Soumaya. When we are there we will look at the stuff inside like art and scupltures.